If you're a regular follower of my blog, then I'm sure that by now you know that I love headbands. It is such a simple way to add a little something extra to your outfit (or your ponytail). 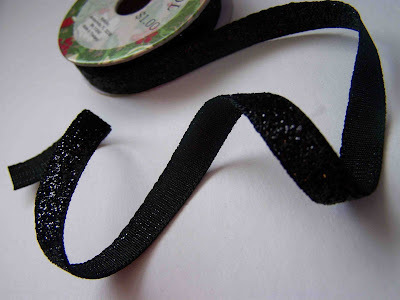 I recently found this black buy-the-spool sparkle trim at Joann's for just one dollar. I thought that it could add a little fun to some of the holiday outfits that I've been making. I had thought of embellishing some shoes, or making some bracelets, but I ended up with this extremely easy to make headband that I love. This is a very simple tutorial, and is probably common sense, but I thought that I'd share it anyway. These partial elastic headbands are extremely comfortable. I can't hardly stand to wear the plastic headbands. They always seem to dig right into the sides of my head. I can wear this style of headband all day long and forget that I even have it on. 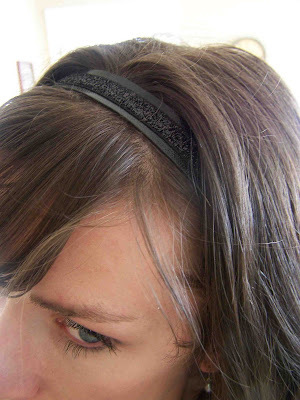 To start out you are going to want to cut a strip of material for the base of your headband. In this case I used a faux leather material that I picked up at a local home decor fabric store. It is thick, but not stiff. It has a bit of stretch, and is soft on the underside. This is the same material that I use to make my baby booties. Leather is also a good choice when making this style of headband. I like to cut my strip of fabric to be 3/4" to 1" wide, and around 18-19 inches long. You will want the strip of headband material to be long enough to wrap most of the way around your head (earlobe to earlobe), plus one inch. A piece of elastic is going to bridge the gap and keep the headband snuggly in place. 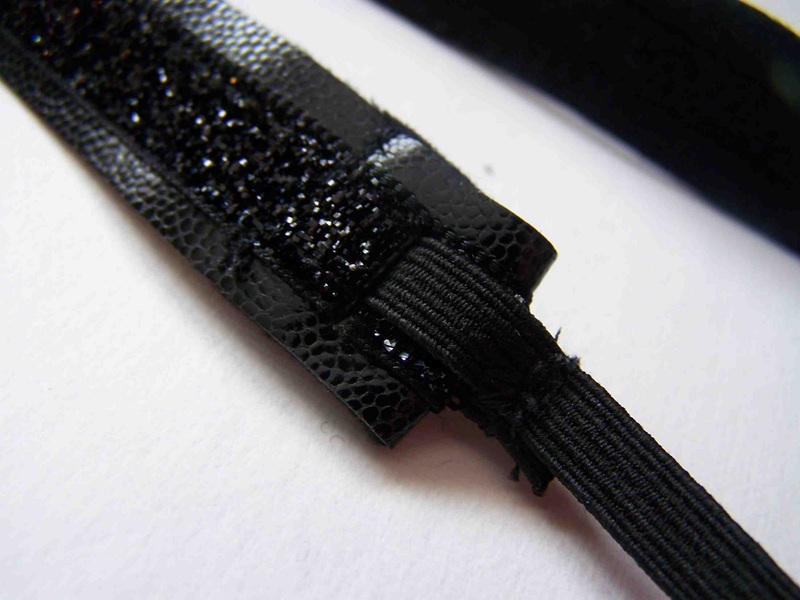 Once your main strip of material is cut you can attach any embellishments that you'd like. In this case I centered my black sparkle trim, and machine stitched all sides of the trim. In some cases glue may be used for this step, but this faux leather has some stretch to it, and the trim does not. I didn't want my materials separating when worn. If you choose to attach ribbon or trim to your headband, I would recommend applying fray check or block to the raw edges of the ribbon to prevent them from fraying. Next fold up the short ends of your headband 1/2 inch. Use a reinforcement stitch, such as the triple stretch stitch, to attach the folded over end. 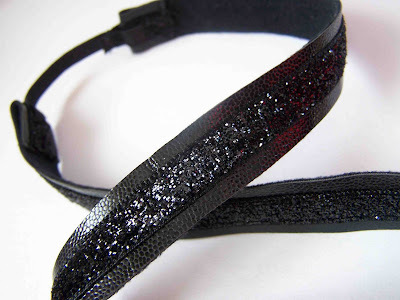 This will provide more stability to your headband when stretched, and prevent your opening from pulling. 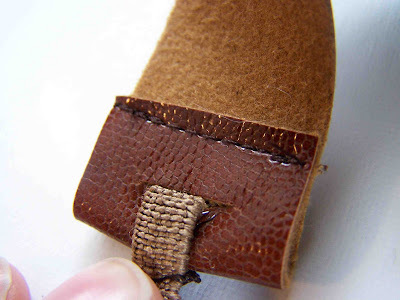 If you are working with leather, this step can be omitted. Now we are going to make a small cut in the material for the attachment of our elastic. Fold the material in half at the ends. 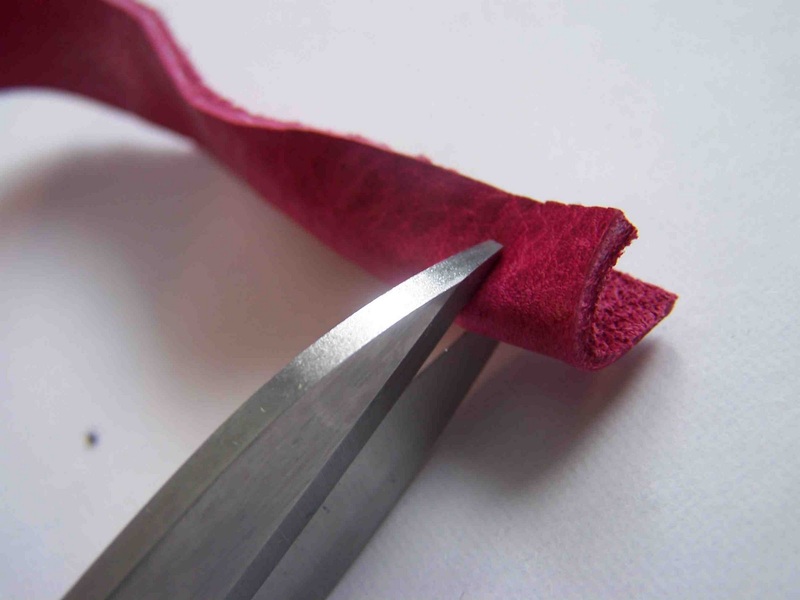 Using a sharp pair of scissors make a small slit that is wide enough for your elastic. You will want at least 1/4" room on either side of your slit, and 1/2" material on the bottom of your slit. Do this on both ends of your headband. If your material is doubled over at the ends (last step), you will want to make sure that you snip through both layers of material. I typically use elastic between 1/4 and 1/2" wide, depending on the thickness of my headband. 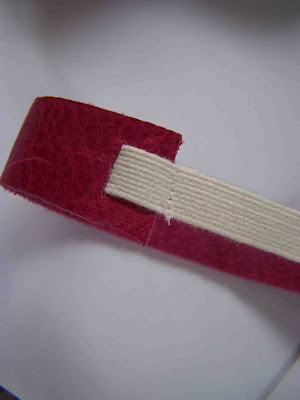 You will want to cut a piece of elastic that is about 6 inches long, so that you can easily work with it. 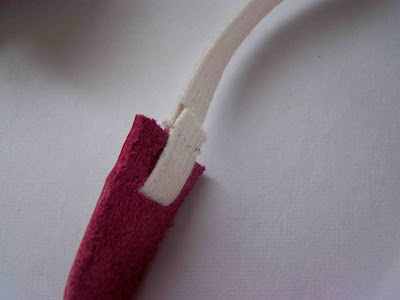 Next thread one end of your elastic through one end of your headband. You will want to thread it so that it overlaps on the underside of the headband as shown. Using either a zig zag or triple stretch stitch (shown), stitch the elastic in place. Note: you are stitching the elastic to itself, and not to the headband. Now thread the other end of your elastic through the remaining end of your headband, but do not attach. 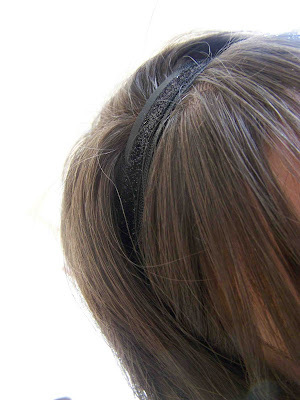 Try on your headband, holding the unattached elastic in place. Pull the free end of the elastic until the headband is snug on your head. Hold the adjusted elastic in position, and attach with a triple stretch or zig zag stitch. Trim any extra elastic material. Don't mind the creepy eye. I was trying to take a photo. You now have a perfect fitting headband for the holidays. 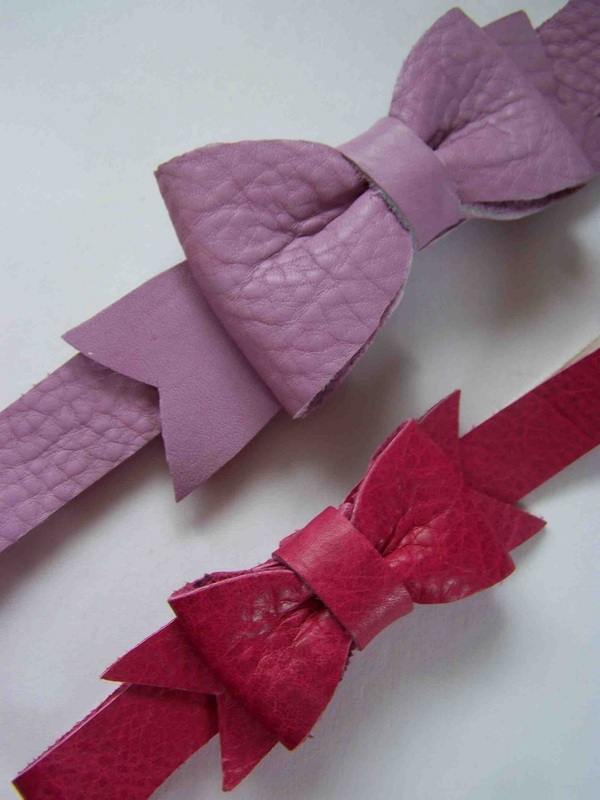 Looking for another simple headband, try the leather bow tutorial, apply this technique, and you'll look as pretty as a Christmas package for the holidays. 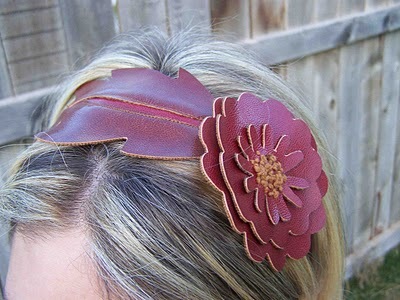 This is the same technique that I used to create this floral headband. I'll be linking here. Don't forget to link up your holiday apparel and accessory projects here. Beautiful, you've really got talent! Turned out really great! Love it. So pretty! I totally agree about plastic headbands. Your timing is perfect- my neighbor wants to make some headbands for her nieces. So simple and yet such a beautiful accent. Well done, yet again. So cute! My niece would love the glitter headband! Come enter to win a free pair of sandals! I think I might need to borrow some of that ribbon!! SOOOO cute! cannot wait to make candy! I'm so glad that you found, you have talent, I love to visit you go! Very pretty! I love them! These are awesome! I can't wait to make one for all my sisters for christmas! I'm your newest follower. Will you follow me back? This is such a cute, simple idea. I love it!